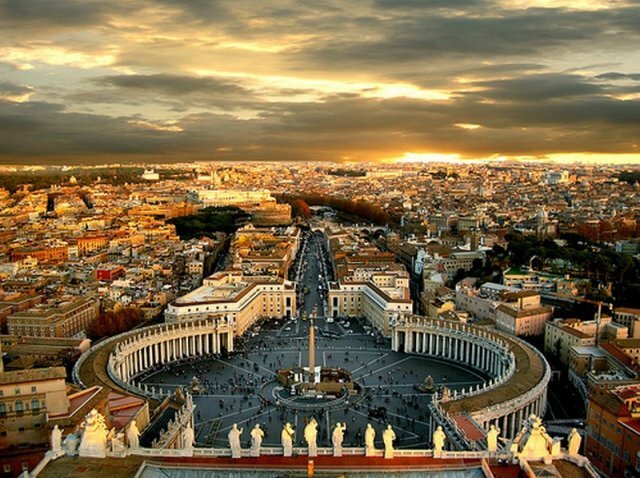 The new statute of the Vatican Financial Information Authority (AIF) better aligns the Authority with new Vatican legislation, and with international standards. It also develops a new kind of Authority. Conceived by the drafter of the first Vatican money laundering law as a sort of «monocratic» authority (a Vatican dicastery presided by a cardinal with broad overall powers) the Financial Information Authority is taking a new shape as a result of progressive improvements to its statue. The statute of the Financial Information Authority makes the Authority brand new. The director becomes one of the statutory office holders, to be appointed together with a deputy director. Both are appointed by the Secretary of State. This is how the Vatican legal/institutional framework to counter money laundering and prevent the financing of terrorism has been further improved, following the recommendations given by MONEYVAL, the Council of Europe’s committee that evaluates the path to financial transparency of its member states. Tracing back the path that led to this new statute helps us to appreciate all the work done at an institutional level by the Vatican. The old money laundering law, modeled in the Italian money laundering law, focused the Authority’s functions on its president, just as if he was the head of a Vatican dicastery. Cardinal Attilio Nicora, one of the sponsors of the former law, was appointed president of the Authority. Nicora is still the president of the reformed Authority, which will oversee all the Holy See’s financial and economic affairs. At the time he was appointed president of the AIF, Nicora was also president of the Administration of the Patrimony of the Apostolic See (APSA) and a member of the board of cardinals of the Institute for Religious Works (IOR) and of the Governorate of Vatican City State. All of these entities were under his supervision as president of the AIF. The former money laundering law had several shortfalls. For example, a division of labor was missing. The responsibilities of the Vatican Gendarmes Corps, Vatican City State Governorate and Secretariat of State were not precisely delineated. The international cooperation system did not take into account the Holy See’s idiosyncrasies. These «shortcomings» were a result of the law having been written by external consultants, surely competent on money laundering, but seemingly not cognizant of the Holy See’s sovereignty and its particular nature. The MONEYVAL plenary assembly welcomed the changes, and it issued in July 12, 2012 a generally positive report on the Holy See/Vatican City State. The report, as could be expected, requested some adjustments to the law. Some of these adjustments regarded the Financial Information Authority, and the Holy See carried forward the reform process step by step. In December 2012, two adjustments to the money laundering law gave the AIF the power to issue memorandums of understanding with its counterparts in other countries without the prerequisite of a nihil obstat (no objection) from the Secretariat of State. These two adjustments further improved the procedures for cooperation and international exchange, and facilitated the AIF joining the Egmont Group (comprised of financial intelligence units from all over the world) in July 2013. The enhanced authority of the AIF led to the signing of several memorandums of understanding, the most important of them with the U.S.’ FinCEN and with the Italian Unit for Financial Information. In the meantime, a more general reform of the Vatican financial system was being prepared. With a motu proprio issued August 8, 2013 Pope Francis established the Financial Security Committee (whose members include the director of the Authority), and in October 8, 2013 a new law was issued, which gave the Holy See a sort of «single reference text for financial issues,» according to its characterization by the Vatican Secretary for the Relations with States, Monsignor Dominique Mamberti. The new AIF president will probably be a lay person, while the tenure of current board of directors seems to be reaching to an end. The board is comprised of Italians, coming (with a couple of exceptions) from the Bank of Italy milieu, who view their work through the anachronistic lens of a Vatican-Italy special relation. One of the very last actions of Benedict XVI was the renewal of the IOR cardinals’ commission. In the commission, Nicora was replaced by Cardinal Domenico Calcagno, his successor as head of the APSA. The decision was clearly to avoid a conflict of interest, but it was nevertheless criticized. In the Holy See Press Office Bollettino that broke the news about the issuing of the new AIF statute, it was also announced that the professional services agency Ernst & Young was being hired by the Vatican City State Governorate as a consultant. According to the Bollettino, the choice was made after a «procedure of selection, » but this note cannot dispel the shadow of a conflict of interest, since Francesca Immacolata Chaouqui, one of the members of the commission that Pope Francis appointed to rationalize expenses and functions in the 37 Vatican offices, works for Ernst & Young. Are external consultants really able to understand the Vatican’s peculiarities? The progression of the money laundering law proved that, ultimately, only institutional decisions taken within the walls of the Vatican succeed in projecting the Vatican forward to face new challenges in the world. Some complaints are already percolating inside the Vatican Walls. It is rumored that the hiring of the Promontory Financial Group has been particularly expensive, although it is not known how much it is actually costing. It would also be interesting to know how much the Vatican is spending to have the Spanish bank Grupo Santander (whose representative in Italy is Ettore Gotti Tedeschi, former president of the IOR Council of Superintendency until he got a no confidence vote) to counsel the Prefecture for the Economic Affairs of the Holy See. While nothing is known about these costs, there is a downsizing of the Vatican dicasteries’ personnel taking place. It has been explained as a response to a needed austerity and spending review. Five people have been reportedly removed from the Congregation for the Clergy, and it is rumored there is a list of 30 people in the various Vatican dicasteries ready to leave, some of them recalled by their dioceses but others sent back by initiative of the dicasteries themselves. This list would have been put together at the request of Cardinal Giuseppe Bertello, President of the Vatican City State Governorate and, it seems, a veritable deus ex machina inside the Vatican. Reasons for downsizing the Curia would be part of a wider project of reform. Instead of sending Vatican officials around the world to report back any problems, the Vatican Congregations would be asking the countries’ conferences of bishops to report any problems, leaving them the possibility to take decisions and thus making Roman central power gradually less important. 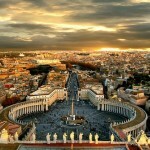 Pope Francis’ reform is intended to give more power to the «peripheries». In the meantime, in the very center of the «empire», there is a risk of a multiplication of small conflicts of interest that would damage the Holy See’s reputation. Consultants are external, with a finite commitment defined in contracts subject to expiration and early termination. The mandates of the commissions appointed by Pope Francis are also limited in time. Is it truly a good idea to base the reform of the Curia on the advice of outsiders? Is outsourcing in the Vatican really the solution?